Spiritual Teachers | Déjà vu or Past Life? Have you ever walked into a restaurant that you know you’ve never set foot in before, and felt an intense sensation of familiarity? Have you ever met someone for the first time, yet felt like you two go way back? Have you ever been in a fresh conversation with someone and felt like you already experienced this exact conversation before? Have you ever felt moments in your life that you dismissed as “coincidence”? Can’t shake that nagging suspicion of “been there, done that”? Well, maybe your familiar hunches are more than just feelings — maybe you have actually been there and done that! What if your feelings of déjà vu and coincidence were genuine memories from a distant past, perhaps even from a previous life you experienced? The term “déjà vu” was coined by French psychic researcher, Émile Boirac. The literal translation of the French phrase means “already seen.” Some refer to the expression as experiencing the past in the present. Common among both children and adults, it is reported that 60-70% of people have experienced this uncanny feeling that they have already experienced something that is being experienced for the first time. Déjà vu can be triggered through any of your five senses, it is not necessarily just something you physically “see” – it can be a familiar smell, taste, sound (pitch of voice, background noises), or feel/touch of something that triggers a past memory. Perhaps you are recalling a familiar smell from your childhood that comes rushing back to you, or maybe the sight or mannerisms of someone you are speaking with reminds you very clearly of someone you once knew and cherished. While déjà vu has been documented in studies as early as the 1800s, it remains today a paranormal mystery that has not yet been solved. One theory worth exploring is that this phenomenon is a message from your higher self. What if your cosmic self is recalling a memory from a previous life? This moment can be a powerful, miraculous glimpse into your own soul if you are aware enough to notice it. This experience can help you in your current emotional healing if you are mindful enough to recognize it. Your soul on the subconscious level may be sending messages to your conscious mind. These messages may be the very same déjà vu moments you are experiencing. Too often, we dismiss these signs as ‘coincidences’ and miss their underlying significance. Yet perhaps their significance is their very synchronicity and feeling of familiarity, which is letting you know that you are exactly where you should be, when you should be, and with whom you should be. These moments are signs that are telling you that you are on the right ‘path’ for your soul. At the same time, know that you do not need to act on your past-life déjà vu moments every time you notice them. You are not obligated to form a bond with someone in this life simply because you may have had a connection in a previous life. 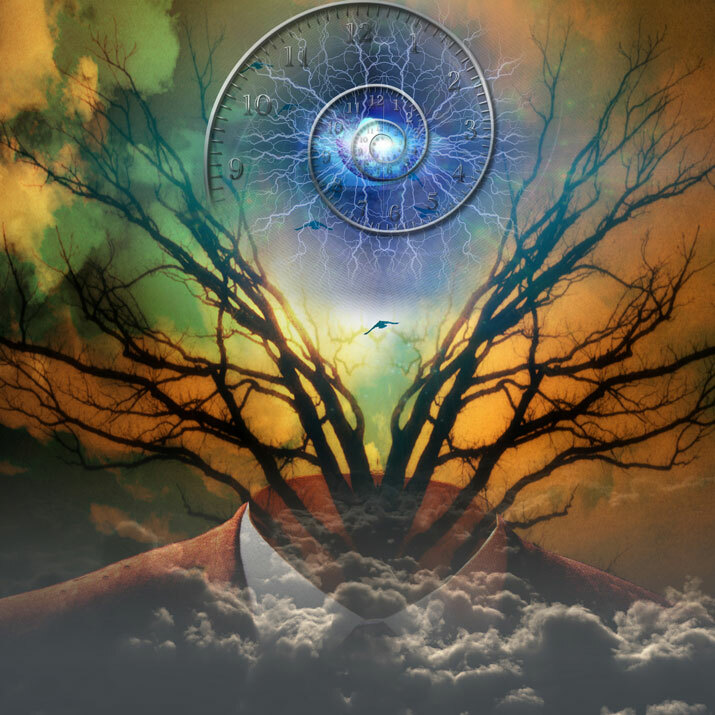 If you are aware enough to notice the connection, then you are already acknowledging your path and can view the knowledge as another window to a higher self. Each time you notice this paranormal phenomenon, you are thereby increasing your ability to tap into this higher self and higher consciousness. You will be connecting with your soul on a deeper level. This heightened state of cognizance can help you see your current life more clearly and can help you make the right decisions and changes you need to unblock the challenges that lie in your path. These moments of déjà vu may very well be your soul sending you clues on how to handle the challenges taking place in your current life. There is much we can learn from our past, so why not use these glimpses of your past – even past lives perhaps – to increase your understanding, heighten your awareness and learn how to better handle your current challenges? Pay attention to the signs on the map with which your soul is guiding you! You may just find a much smoother, more harmonious life in the present, all thanks to these glimpses of déjà vu from your past!